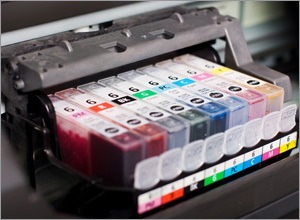 A newer issue in the imaging supplies industry is the growing importation of newly manufactured compatible and clone cartridges. If these products do not infringe OEM trademarks or copyrights they could be legitimate. However, the United States International Trade Commission (ITC) has determined that some of these cartridges infringe OEM Patents. Consequently the ITC has issued General Exclusion Orders(GEO) The Exclusion Orders primarily prohibit the importation of clone/compatible cartridges that have been found to infringe OEM patents. In some instances, a GEO can also exclude re-manufactured cartridges and empty cartridges that violate patent or trademark laws. Resellers who import products prohibited by a GEO can be subject to penalties, including inventory seizures and fines. We encourage resellers to familiarize themselves with the provisions of these GEO’s. Click here to review chart which illustrates "What is an Infringing Imaging Supply"